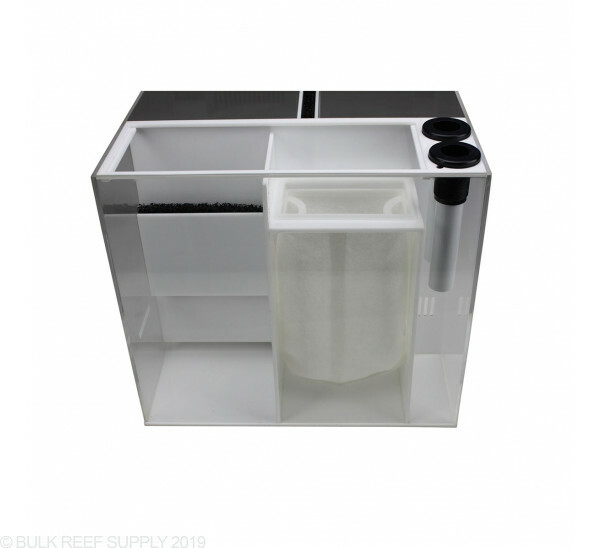 CUBE Medium sumps feature unique flow through the separate refugium and skimmer chamber. The main advantage is that your skimmer can now uptake undissolved organics while your refugium can absorb nutrients like ammonia, phosphorus, and other unwanted nutrients without having to compete with each other. 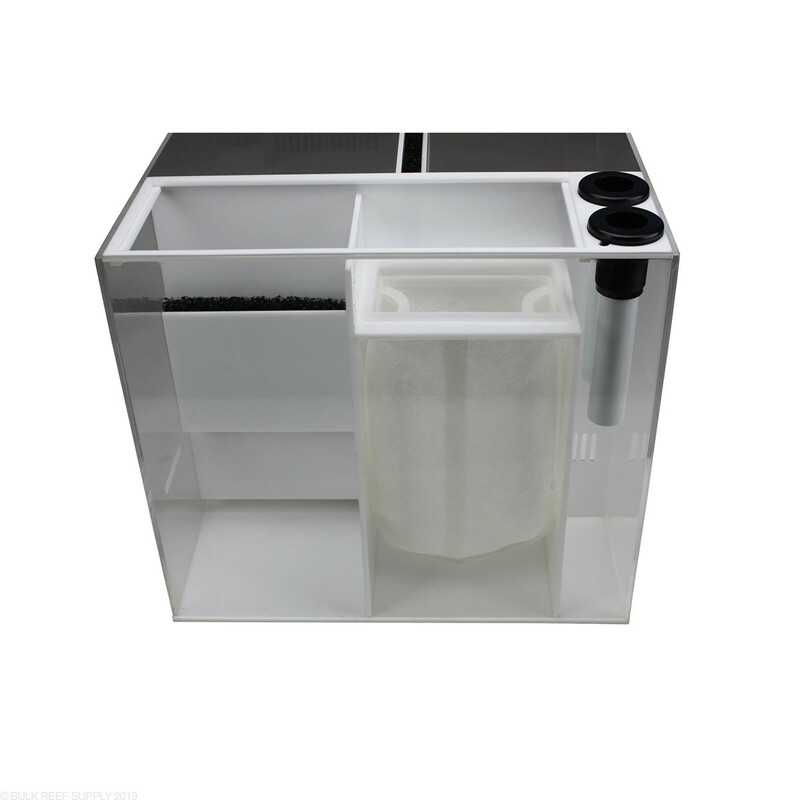 The Eshopps Cube sumps have a unique flow pattern through them. Water first drains into the main drain chamber where a portion of the water will flow into the refugium chamber, and skimmer chamber completely separate. 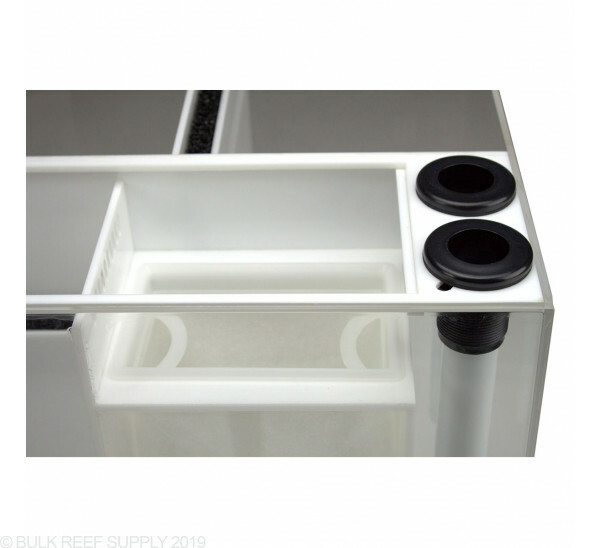 The skimmer compartment has a filter sock to help polish the water of any debris or detritus before entering the protein skimmer, where the refugium compartment gets completely unfiltered water. Keeping the flow paths isolated greatly increases the protein skimmers efficiency and also the growth rate of the refugium. 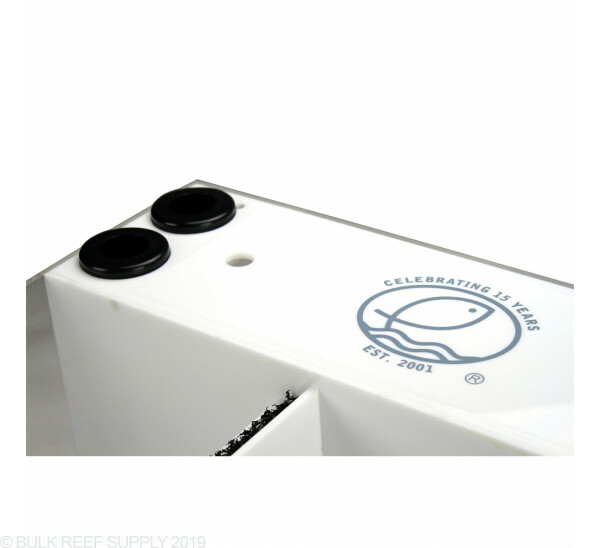 Both chambers drain into the return pump chamber where water can be pushed back into the aquarium by your choice of return pump. 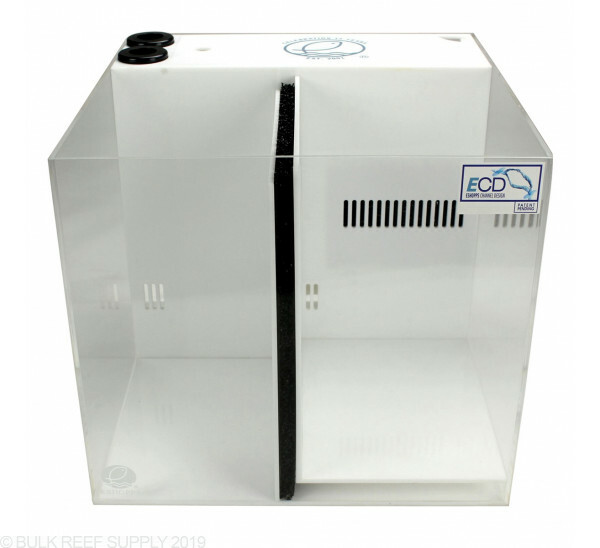 Refugium - 11.5" x 7.5"
Refugiums are great for holding macroalgae and other nutrient reducing organisms. 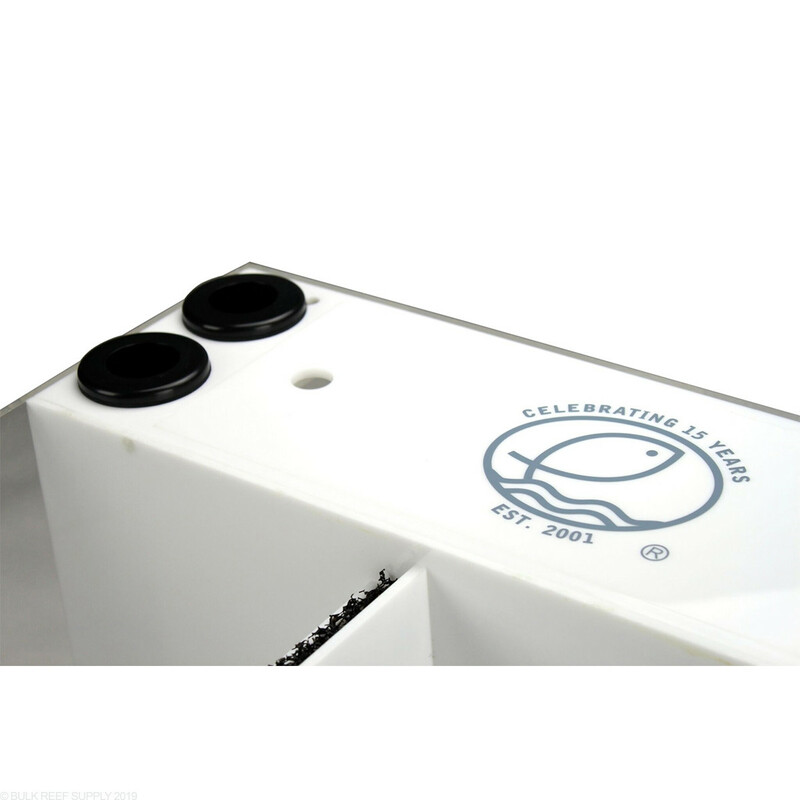 Just add a refugium light to the CUBE Medium for an efficient source of filtration. Lights like the Tunze Full Spectrum LED and Kessil H80 are perfect choices. 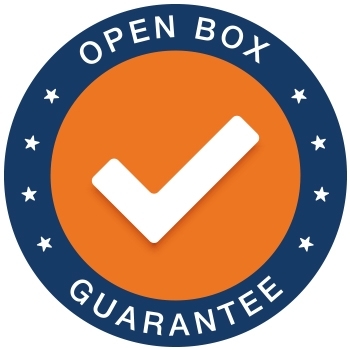 Skimmer Chamber - 11.5" x 8.5"
Simply choose any skimmer that has a footprint less than 11.5" x 8.5" and you are in business. 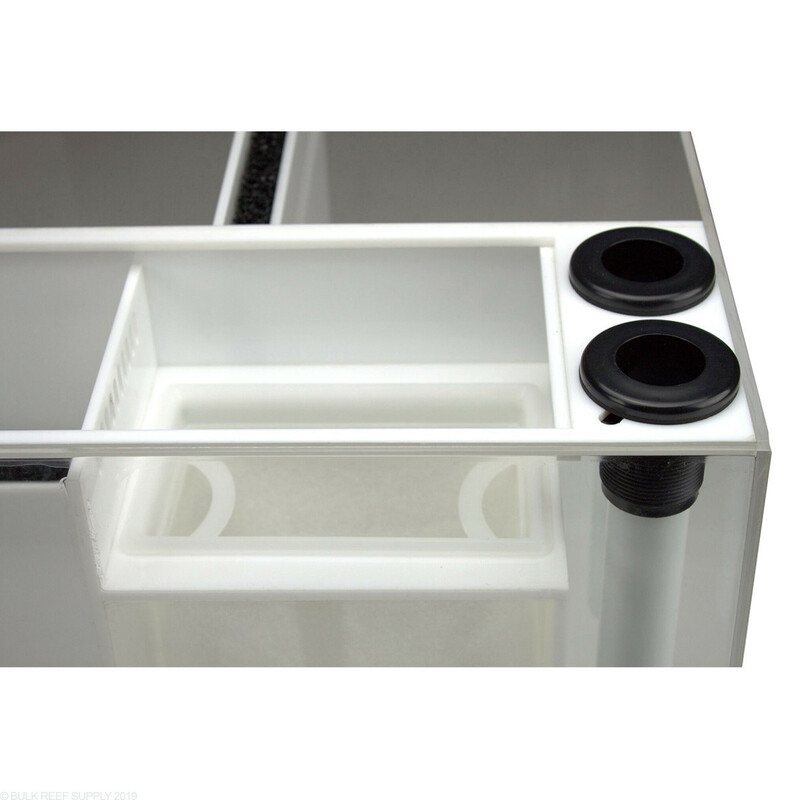 Smaller sumps may require space-saving skimmers to fit properly, selecting a protein skimmer similar to the Eshopps X-160 would be a perfect choice.